Use this website to quickly find the most important information about Mexico City International Airport: Flights (Departures, Arrivals), Parking, Car Rentals, Hotels near the airport and other information about Mexico airport. 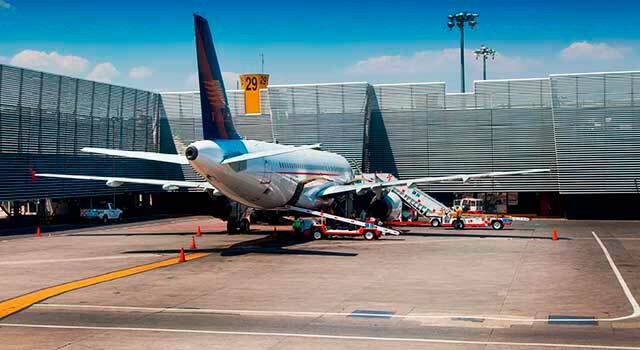 Plan your travel to Mexico Airport with the information provided in this site. 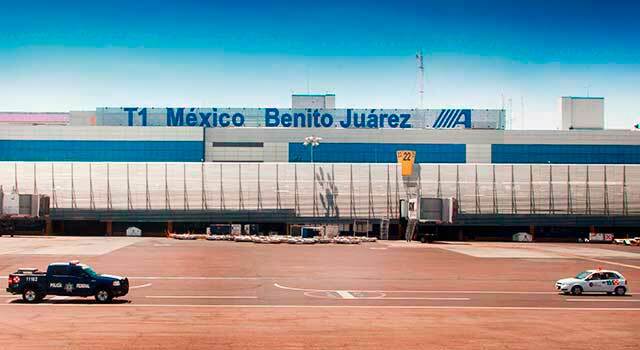 Mexico Airport (IATA: MEX, ICAO: MMMX), also known as Mexico City International Airport, officially named Benito Juárez International Airport, is the main airport serving the greater Mexico City. Mexico Airport (IATA: MEX) is the busiest airport in Mexico. The airport is located 5 kilometres east of downtown Mexico. Mexico City Airport served 44.7 Million passengers in 2017. There are two terminals in Mexico City Airport. There is a plan to build a new airport in the following years. Is the busiest airport in Mexico and the busiest airport in Latin America. 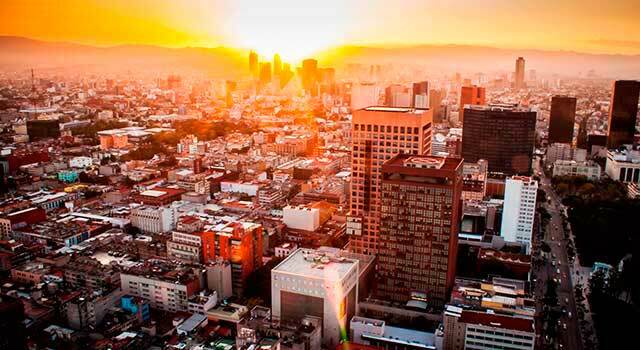 The airport is located 5 km (3 miles) east from Downtown Mexico City. . The airport operates with domestic and international flights, being the top ten busiest routes these destinations/airports: Cancún, Monterrey, Guadalajara, Tijuana, Mérida, Los Ángeles, Tuxtla Gutiérrez, Houston, New York and Puerto Vallarta. IMEX airport serves as a hub for Interjet, Volaris, Aeromar and Aeroméxico, this last one being the largest airline at the airport and has become a SkyTeam hub in 2017. 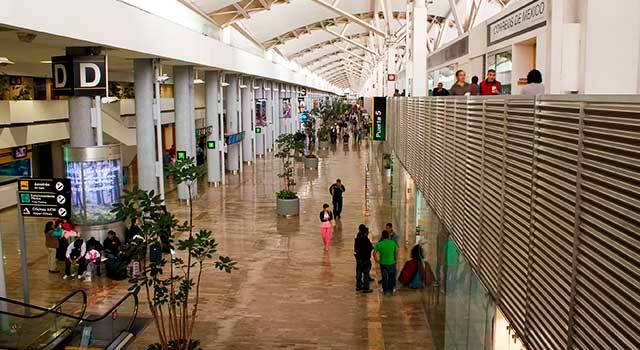 Mexico Airport handled 44,732,418 passengers, a 7.2% more compared to the previous year. From May 2015 to May 2016 the airport handled more than 39,5M passengers, among them 12,8 were international passengers. México Airport has two terminals, 1 and 2, connected via runways. Both terminals are 3 km apart, but connected by Airtrain. Is the largest terminal in the America. It has 3 sections (1, 2 and 3) with gates from 1 to 15, from 17 to 23 and from 24 to 36. Aerotren and local buses run between terminals. Camino Real, Courtyard by Marriot and Fiesta Inn by Fiesta Americana and Hilton. Terminal 2 is close to NH Hotel. See more information about Hotels. 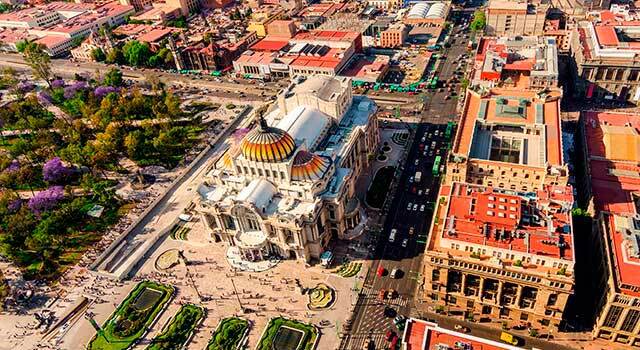 - Bus: Various routes connect Terminal 1 and 2 with different points of interest in Mexico City and other destinations. More info. - Hotel Shuttles: Several hotels located in the vicinities provide hotel shuttle service. - More than 20 airlines operate at the airport. Best Prices in Car Rentals!